This post idea comes from John L. Robinson. I found this post from Robinson in February and it got me thinking. Robinson talks of what he calls “no fear,” and I’d have to agree with him. I don’t think I could have said that any better myself. He’s exactly right on all counts. As reporters, we cannot be afraid. 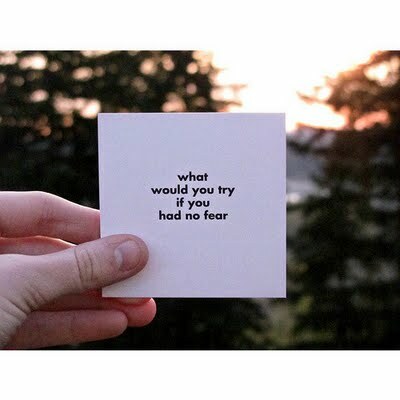 Of course, there are times when we will be afraid, but we have to push forward. I have come across abrasive and intimidating sources since I started at the Chronicle. It’s not something I dwell on. It’s a part of my job and I push through it. I treat them just as I would any other source. I ask the tough questions and I do my job. End of story. If you are shy Robinson lays it all out on the table for us. This is all something to seriously consider before you become a reporter/journalist. This is what you’ll have to expect to do on a daily basis. There are no teachers per say to help you. Your editors will not hold you by your hand and walk you through every story. There is a level of expectation, I’m sure, at every paper. The bigger the paper the sharper the learning curve probably is. In college, they tell you about this, but it’s not really thrown at you, as it should be. Do the best you can. That’s all anyone can ask for.